Every beautiful smile needs a little TLC in the form of hygiene, regular check-ups, and only moderate amounts of coffee, tea, carbonated soft drinks, and red wine. Your smile also “recommends” that you not eat those sugary snacks between meals and that you leave out smoking altogether. Many of us still indulge our guilty pleasures, and decay, stains, chips, cracks, and misshapen teeth are some of the casualties. Teeth are likes apples, and a single bad one can take away from the health and beauty of the rest. Diseased or broken down teeth can become distracting and embarrassing. Misshapen teeth may be weaker than the surrounding teeth and become a source of discomfort, dissatisfaction and chronic pain. Over time, large stained fillings, a chipped or cracked tooth and untreated tooth decay can become noticeable imperfections in your smile or even cause functional problems. 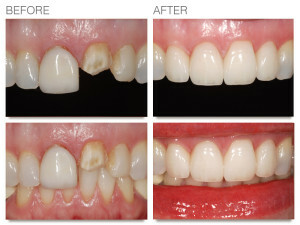 If left untended, these issues can lead to even bigger problems, such as tooth loss. That’s where East Tennessee Prosthodontics comes in. You might say that we’re in the embarrassment removal business. 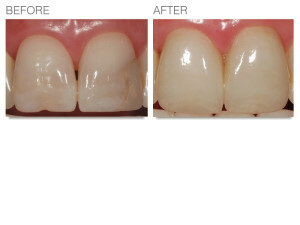 Ceramic crowns fabricated by prosthodontists will work wonders for discolored, chipped, or misshapen teeth. 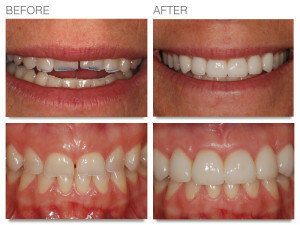 Full coverage crowns closely match the color of your original teeth and can look completely natural. 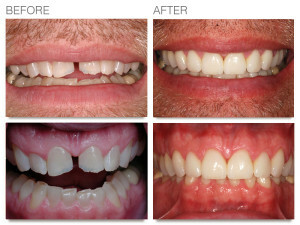 Metal crowns for less prominent teeth are strong, don’t chip easily, and have a minimal effect on surrounding teeth. You’ll forget that they are even there. At East Tennessee Prosthodontics, we will assess the health of your teeth and determine the best solution for your needs. If we recommend crowns, we will then take you through the routine preparation of the teeth followed by fitting of the final crowns. These simple, relatively non-invasive procedures typically take two or three visits and will immediately restore the attractive appearance, proper size and shape, and strength of your teeth and draw the right kind of attention to your smile. If you are hiding your smile, or experience discomfort due to weak, sensitive, or cracked teeth, call East Tennessee Prosthodontics at 865-769-0886 to schedule a consultation. Your new smile is waiting for you.